Gives you a pop-up menu to quickly select what item to drop from 'The Mobile Mechanic' and/or 'Campsite' by fadingsignal. 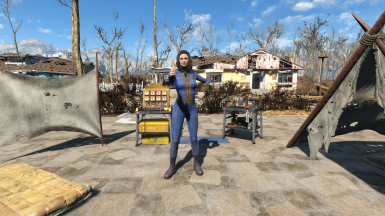 No more searching through the overloaded PiP-Boy inventory. 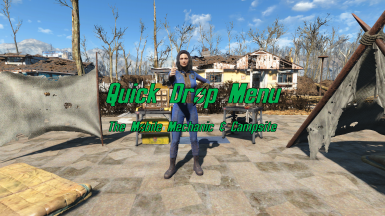 As soon as you leave Vault 111 (or start a new game with Start Me Up), you'll receive a item called 'Quick Drop Menu'. Hotkey the item and slam the button when you need to place down one of fadings objects. It will be placed in front of you, same as if you drop it from the PiP-Boy menu. No more searching for the item in an overloaded inventory. 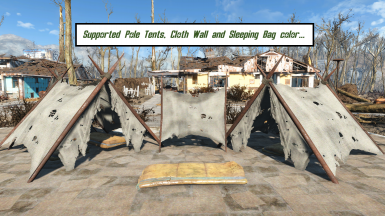 Only the default Campsite objects (colored beige) are placeble. The special colored tents, sleeping-bags, etc. are NOT supported. See picture-gallery as reference. 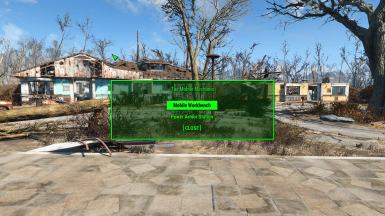 Use either one or all of these great mods. Quick Drop Menu has NO hard dependencies, no objects are overwritten, everything is managed script-based. There shouldn't be any conflicts. Open the Console and type "cqf QM_MainQuest Uninstall" without the quotes. If you have any good suggestions, post them in the comment section.